I think you will agree with me, it is not always that easy to find the perfect restaurant, in most cases you wouldn’t even know where they are especially when you are new to town. Sometimes you need a good recommendation or even just a little exposure, because if there is one thing we know about our fine restaurants, they are great at preparing amazing meals, but not that great at marketing themselves. That’s where we at Kona-Hi.com come into play.  We have figured the marketing part out and now we are here to introduce you to the best restaurants in Kailua Kona and Waikoloa. I think we as customers get accustomed to eating at the restaurants on the main street and skip the hidden gems unless someone tells us about them! That is what we are here for! The restaurants we have listed are our favorites here in Kona. You try to wing it, but that’s not always a good thing when it comes to eating! The many different types of food here on the Big Island are as diverse as the island itself. Vacationing in Kailua Kona you are very fortunate to have many different places to eat. The food is amazing, and the selections we have on this list are hand-picked from 100s of different Restaurants in Kona. Check out the restaurant’s websites that we have provided here and eat at these restaurants first, before you even try any others. I know you will agree with me, we have the best list of restaurants over anyone else! Give them all a try, maybe more than once, you will be spoiled and your family and friends will know that you are a discriminant diner! Let me know if you agree with me by commenting below about your experience. Feel free to follow our posts and staying informed about Kona! Click one of the Social Media Icons and Like our page on Facebook or follow our Twitter feed!